STOP PRESS: Its fantastic to see that, not one but, two of our Founding Counsel have for the second year running, been named in the DataIQ 100 alongside Elizabeth Denham. Congratulations to Roberto Maranca of Chief Data Officer of Lloyds Banking Group and Ian West Director of Information at Project One. Their foresight to Found the GDPR Institut and its associated UK business GDPR Associates into the GDPR market offering Education, Guidance and Support for all has proven to be Visionary. With the Free initial help and advice to all Businesses affected by GDPR still proving to be extremely popular in dispelling the myths surrounding the wide ranging GDPR legislation. Find out more. Get your free GDPR Benchmark Analysis by completing our survey. ALL respondants will receive a unique positioning report, so that you can see where your business falls against your industry partners and competitors. Click here to take survey. Click the Link below to join us? Get the answers you need FREE one on one consultation with a GDPR expert. Assess the maturity of your data protection processes and GDPR compliance for FREE. GDPR Associates are engaged as advisors with many senior Executives in many Large, Medium and Small businesses, headquartered or doing business in the European Union. WE ENCOURAGE YOUR ORGANISATION TO PARTNER WITH US. In return we will promote your product or service offering to a wide range of corporate clients and introduce your business to new opportunities around the world. Find out more. As the Executive Owner of GDPR at Hiscox Insurance in the U.K. I was responsible for the Data Privacy and Security and sought all the advice, knowledge and support I could find. The team at GDPR Associates have a truly encyclopaedic understanding of the regulation, its impact on business and a very pragmatic approach to creating a defensible position to ensure your company can be as compliant as possible. 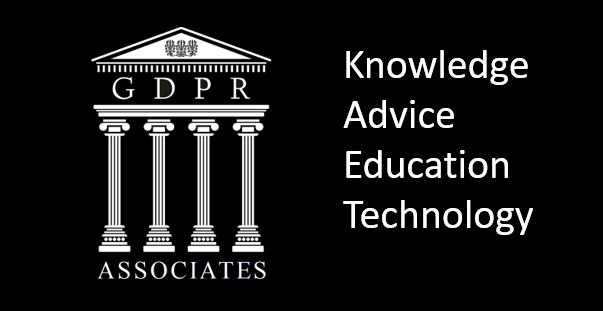 The GDPR Associates website is the "one stop shop" for all the advice, knowledge, and technology you need, plus the philanthropic shared ownership by every member makes membership very useful for everyone focused on delivering GDPR Compliance. GDPR Associates is an invaluable resource for everything one needs to consider for the upcoming regulation and how to plan a response. As a data owner or a technologist seeking expert insights on risks and solutions this is the place to go. David Castle, Managing Partner, Waltham Partners.